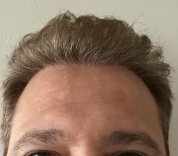 Hi, So I got around 2700 FUE grafts from a reputable clinic in Europe after years of research to ensure I get a good result. Attached are pics before and after at the 8 months mark. No complications during procedure or after. I wanted to ask the opinion of the experts here in terms of what you feel the result is. At the 8 months mark should I be seeing better density. Does this look like it will need a repair or is it too early to say that ? Need to understand this because I had limited donor supply to begin with and if I need a repair then that will impact that too. Uploading pics at start, after a month and then at 8 months.